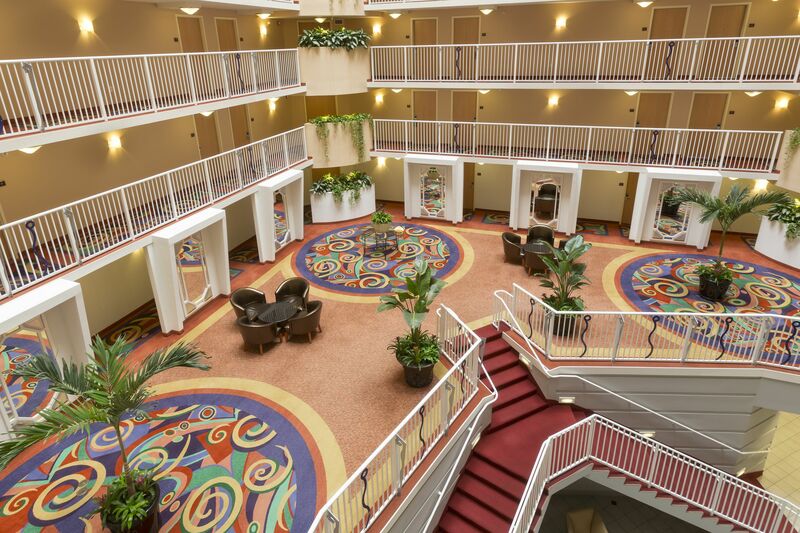 Crowne Plaza Orlando Universal is located a few minutes’ drive from Universal Orlando Resort and other Orlando attractions such as SeaWorld and Walt Disney World. The hotel also offers free shuttle at certain times to most theme parks in Orlando (ask at the reception). The hotel offers luxurious rooms equipped with every comfort and with many details to make your stay as pleasant as possible. The types of rooms offered at the hotel are described as follows. It offers ample space and features amenities such as two double beds, air conditioning, Cable TV, microwave, telephone and an ensuite bathroom. The double room offers more space and the also has a large honey-moon style bed! It also includes a TV, coffee maker, desk workspace with high speed Internet and an ensuite bathroom. This is a specially equipped room for guests who suffer from various allergies or ailments. It has all the amenities available in other types of rooms. The Suite offers more space and extra spaces like a studio and an entertainment centre. These rooms have the best views available and are located on the upper floors of the hotel. 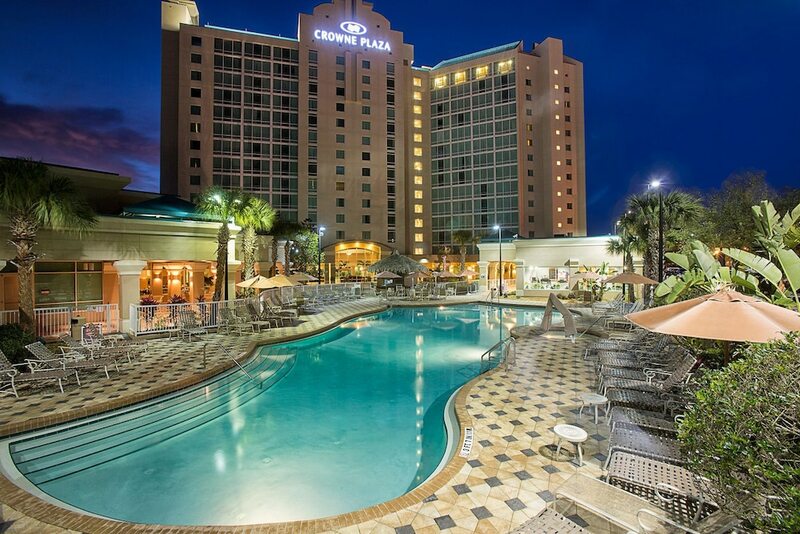 Crowne Plaza Orlando Universal features leisure facilities including an outdoor pool, gym, spa and a games room. There are other services such as free transportation to major Orlando attractions, luggage storage and tourist information, all arranged in the reception area.